There are a lot of pieces of equipment that are useful to have around, but that you don’t use very often. Gardening equipment is a great example of this. Most of the gardening tools we have simply aren’t used all that often. They sit in the garage for the vast majority of the year, coming out mostly in spring and intermittently in the summer and fall. 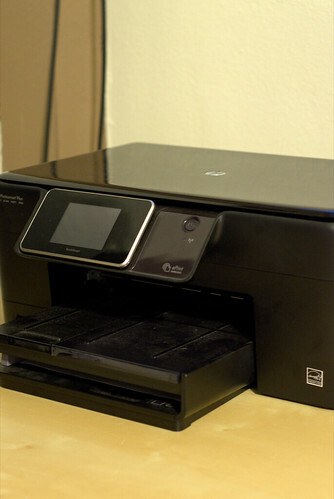 Another great example is our home printer/scanner. We use it once every few weeks on average. Most of the time, it sits in the guest bedroom gathering dust. When we need those things, we’re glad to have them. Most of the time, they just sit there. The same phenomenon is true of almost everyone. We all have tools and equipment in our home that we don’t use very often, but we really need it when the right time comes around. During the time when you’re not using it, why not share it with friends and neighbors? This is particularly useful if you live close to the person you’re sharing with. For example, sharing gardening equipment with the person next door makes it very easy for both of you. One of you buys a hoe, a rake, and a shovel, while the other buys a miniature tiller, and you share the equipment freely, saving you both money. I’ve witnessed close neighbors sharing everything from printers and wireless internet access (yes, they split the cost of it, and one house simply had a wireless repeater in it on the wall closest to the neighbor) to kitchen tools (a food processor) and yard tools. People have shared things like septic snakes, clotheslines, and coin sorters. What’s the best way to get things started? Ask. Ask a friend or a neighbor if they have an item that you need but will use very irregularly. Most of the time, it’s an item they use very irregularly, too, and they’ll usually be happy to lend it. When you do so, thank them and make it very clear that they can do the same with you – if they have a need and think you might be able to help, they should just ask. When you hear of a neighbor or a friend needing something, offer to lend the item. This gets the sharing started on the right foot. What if you both have a need that neither of you can fulfill? Split the cost somehow. Perhaps one neighbor can provide a small amount toward the purchase in exchange for regular use of the item (until you move apart, that is), which could be a very nice arrangement on something like a new gardening tool. I’d probably avoid this on a more expensive item. Share with your neighbors and friends. It saves you both money.